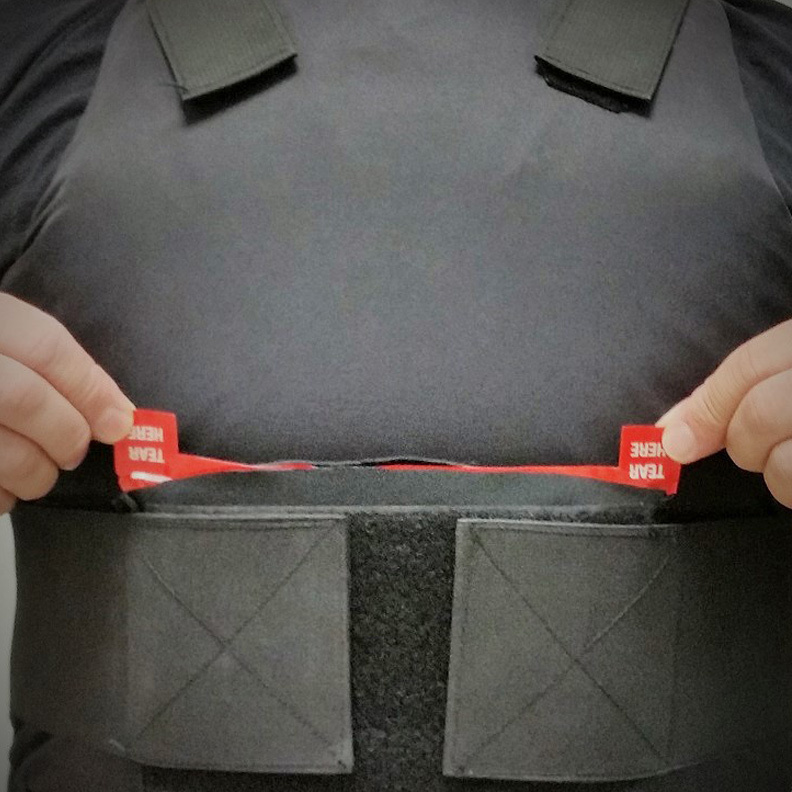 This is our carry system for all of the newer concealable body armor vests that do not have a pocket or pouch already stitched into the carrier. This kangaroo pouch is designed to hold our Trauma Plate Packs and measures 6x8. it is very flat and plyable, less than 1/4 inch. The Wide velcro on both sides will match your vest straps with ease. The location being midline and just above the belt makes this a very accessible area to retrieve your kit if you only have use of one hand. Most officers can retrieve and deploy the kit in under six (6) seconds.